Halloween is just a few weeks away. now is the perfect time to update your Twitter page to reflect your love of the Halloween season. Here are a few easy tips you can use this October. Halloween Twitter Theme's As it gets closer to October and you start stressing out about what to wear for Halloween this year! Don't just limit Halloween decorations and creativity to your front yard and kids Halloween costumes. 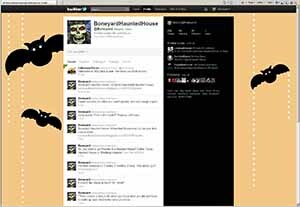 Why not set the mood with some scary and creepy touches to your Twitter page? 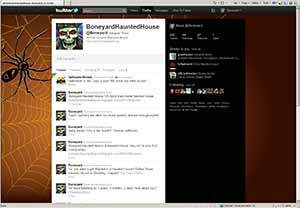 There are a few things that you can do, And you don't need to be a computer tech to dress up your Twitter page for the Halloween season. 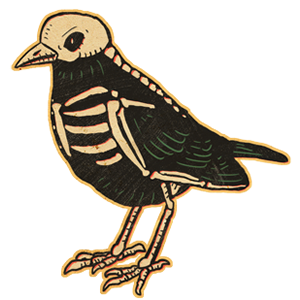 And our favorite tip: Follow us at @Boneyard on twitter.